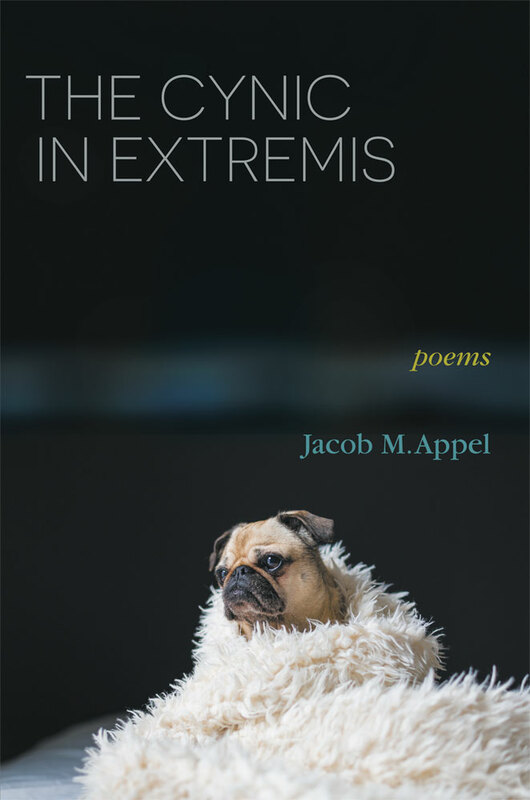 Eclectic characters in everyday scenarios populate Jacob M. Appel’s The Cynic in Extremis. We attend a sister’s second wedding with a “hand-me-down groom”; trick-or-treat with a young son; encounter a former teacher long retired, still critical; relive difficult ancestral memories of the Holocaust. These poems present—often unapologetically—uncomfortable truths gleaned from close examination of social norms and conventions mostly taken for granted. Full of fun, wit, and insight, The Cynic in Extremis is a finalist in the 2017 Able Muse Book Award. These collected poems explore memory, regret, and missed connections . . . Appel’s poetry has a narrative quality that’s appropriate for a fiction writer, telling compressed stories that often end in moments of realization or summation. In the title poem, for example, the first line provides a nutshell character sketch: “You could never put one over on my uncle.” Instances follow: “Scoured his returned change for Canadian pennies, / Steered clear of con games like synagogue / And life insurance.” . . . Other poems consider mortality and the past’s irretrievability, such as “Summer Camp Socials,” which recalls a girl who’s cheerful despite being ostracized at a dance for her bald scalp . . . A strong collection of insightful narrative poems. 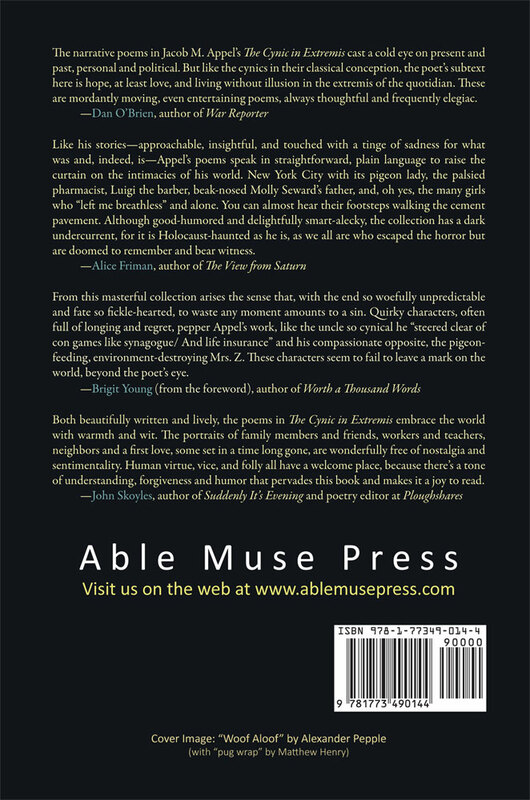 The Cynic in Extremis was a finalist for the 2017 Able Muse Book Award.